What are the differences between electrics and hydraulics during set up? 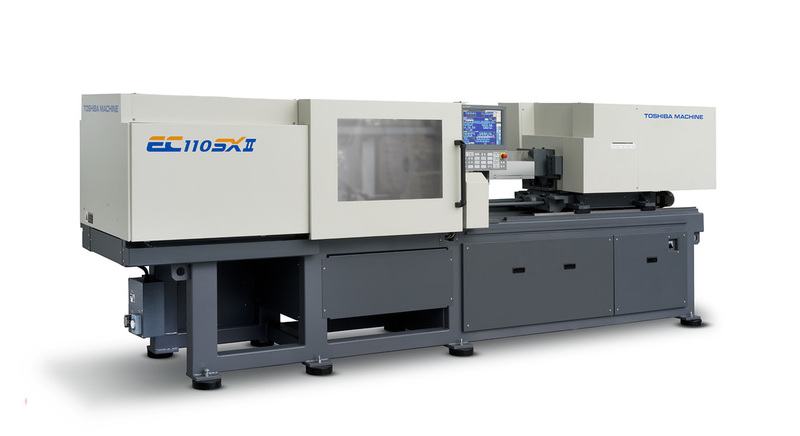 The number-one difference we find is that the operator on the hydraulic machine has the tendency to set the ejector positions beyond the mold eject mechanism travel capability. With hydraulics, if the eject plate cannot travel to the set point, the oil ends up being bypassed over a relief valve back into the tank. In comparison, the electric machine motor drive design systems are set to increase the motor torque to achieve the position set point. If the set point is beyond the eject travel capability, then the drive system power will be increased to a point where eventually it will alarm out or mechanical damage can occur. In summary, the electric machine is less forgiving when it comes to setting the positions, but it has higher accuracy and repeatability. Electric machine positions are set to 0.001” while hydraulic machines are typically only down to 0.01”. Electric machine responses are faster, so to replicate the process from the hydraulic machine may require additional profile settings. Most hydraulic machines set the injection pressure in terms of hydraulic pressure. The electric machines, since they have no hydraulic drive trains, measure injection pressure with melt pressure, usually via a load cell. The difference between hydraulic and melt pressures are typically represented by a difference in value of 10:1. Example: 23,000 psi melt pressure is similar to 2,300 hydraulic pressure. This can vary to 8 or 12:1, but 10:1 is a “rule of thumb". How long can I expect an electric machine to last? Machines put into service over 20 years ago are still in operation. However, like all electronics, availability of spare parts can start to be an issue as older electronic boards become obsolete and more difficult to support. This is also true of hydraulic machines, since all machines today use some type of micro-processor. In general, the machines will last as long if not longer than similar-sized hydraulic machines. What spares should I have on hand? Normal items such as grease, screw tip assembly, heater bands and thermocouples. What are the common maintenance needs? Regular cleaning of the machine and observing for any lubrication issues (lack of). Cleaning or replacing the air filter for the electrical/drive cabinet. Replacement of the grease supply. Listening to the machine for any unusual noise, which might indicate the beginning of a mechanical problem. Why are the machines cleaner? The elimination of oil, valves, hoses, etc. requires less housekeeping since leaks are avoided. What are the reasons for cycle savings? Overlapping of operations (ie: clamp and extruder; clamp and injection - pre-injection; eject on fly) is a built-in design capability. This can reduce cycle times over 0.5 seconds. Since Electric IMM machines have no oil, the ability to quickly ramp up to full speed is easily obtainable in comparison to hydraulic systems, which rely on the electric motor, pumps and valves to ramp up. For example, it is common for a hydraulic system to use +10% of the screw stroke to reach full injection speed while the electric machine can typically achieve this in under 0.05 seconds. Hydraulic systems are frequently prone to shock in their systems which can cause mechanical failures. Software delays are programmed into the machine to reduce these shocks, which can then add up into longer response and cycle times. Since the motors are connected directly to the mechanisms of the machines, when the motor is commanded to change speed instantly, the mechanism changes. In comparison, when oil flow is cut off, the mechanical action has inertia, which cannot be stopped without using an “oil braking” system on the opposite side of the hydraulic cylinder piston. Without this, in order to reduce the amount of overshoot caused by the mechanical inertia, the software is tuned so that the velocities are ramped down farther away from the stopping set point. Using the electric machine means that the machine requires less distance to stop and so higher velocity can be held until the last possible moment, resulting in shorter cycles. Will I have a problem with high pack pressure and times? Newer electric machine designs and technology today have motors and drives with more power capability than ever before. But while an electric machine being overmatched has become a very infrequent issue (less than 1%), there are still cases where the combination of part design and resin types can cause the injection motor to become overloaded. If there’s some uncertainty about this possibility in a given situation, machinery manufacturers including Milacron frequently have some alternative design combinations to address the issue. If you have a concern, you should share the details up front with your machine manufacturer. What is the maintenance cost for a typical all-electric machine? With good maintenance and proper operation, the annual cost has been under $500 per year. How long do belts last? Belt technology has advanced over the 30 years of all-electric technology, and today’s belts can be expected to last +10 years. Belt failures are mostly caused by incorrect machine parameter settings that cause excessive stress. Should you maintain or replace equipment? Type of products being produced and the necessary precision. Type of customer base you’re going after. What kind of maintenance issues the hydraulic machines are having and the cost associated with keeping them in good working order. Skill level of the maintenance department. Hourly machine rates and cycle time improvement opportunities. New construction of facility in the evaluation of utility requirements such as power drop sizes and HVAC considerations. Why are the machines more repeatable? Hydraulic oil tends to behave differently as temperatures change and also as the oil becomes dirty. Temperature changes result in viscosity and flow variations through the hydraulic system. This is why many machine manufacturers incorporate an oil pre-heat cycle when initially starting the hydraulic pumps to reduce the time necessary to warm the oil to operating temperatures (wasted energy). Also, as the oil temperature migrates into the steel of the valves, pumps, cylinders, etc., it often results in behavior changes from the thermal expansion and tolerance change between components. As oil becomes old, it can begin to break down resulting from heat and moisture. The most common visual change comes from what is known as “varnish” build-up. This brownish build-up can be found on all areas where the oil experiences higher temperatures. Frequently, when removing the spool from the valve body, you can actually see varnish built up on the lands of the spool. Mechanical drives with servo motion control use absolute encoders with capability to detect as low as 0.01mm positioning. 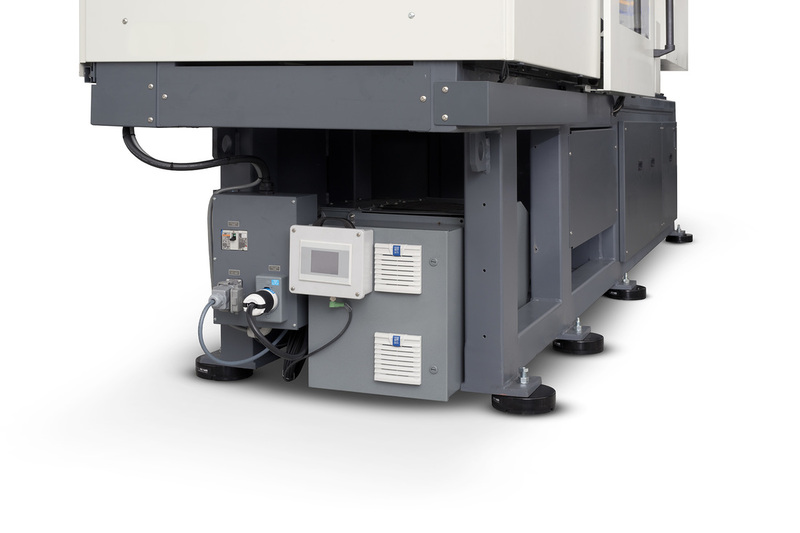 This capability, working in conjunction with tight machine tolerances, enables precise and repeatable machine operation. There are several answers to this, depending on the age and type of technology used in the machine being replaced and the molding cycle conditions. Ultimately, the best way to analyze this is to perform an energy audit. When replacing most machines that were produced using older technology, the energy savings could be over 400%. Early machines used hydraulic and electric motor designs, which are not energy efficient. Machines with inefficient electric motors and fixed (single/multi) pumping systems are primarily those in this category. Newer technology that became available in the 1980s could still see savings in the 200% range. Machines using variable flow/pressure pumping systems with and without separate fixed-pump systems would fall into this category. Today’s technology using electric servo motor controlled pump systems may see 25-50% reductions. Systems using variable frequency motors coupled to fixed pumps also provide savings, but may see performance issues. In cases of long cycle times where a normal electric/pump system is operating without any work produced, you will see greater savings than you would in a scenario in which the motor/pump system is constantly at work, as would be found in a fast cycle resulting in a high resin output (Lbs/hr).